Hannah Noone, Assistant Director of Pilgrims, opens up the rehearsal room doors to let us see what's going on at Theatr Clwyd where the cast of Pilgrims are rehearsing for HighTide Festival 2016. In my sunny homeland of North Wales, I joined a new creative team and cast at the start of rehearsals for Pilgrims. The week began with the inaugural production meeting and initial rehearsal. 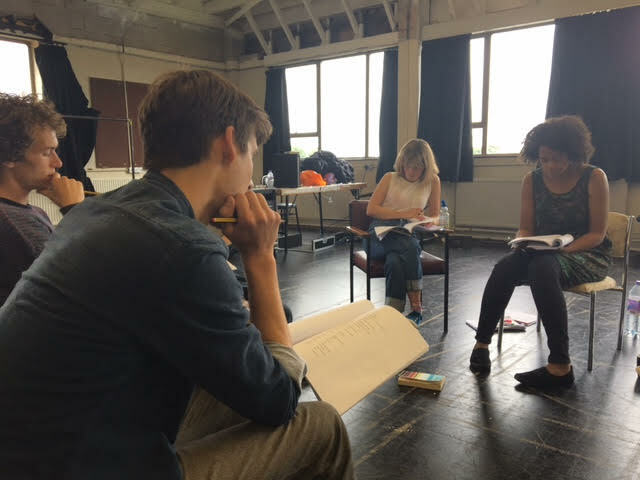 For the first time, Elinor’s words started to come to life… This is in fact my first time working on a new piece of writing, so the process so far has been particularly interesting for me, especially having the playwright in the rehearsal room! We spent a lot of time this week getting to grips with the text, exploring and playing with the words and generally becoming familiar with the piece and becoming an ensemble. As part of this process, one afternoon, we took a field trip to Abergwyngregyn where cast, director and playwright went and found a real mountain. How cool is that? 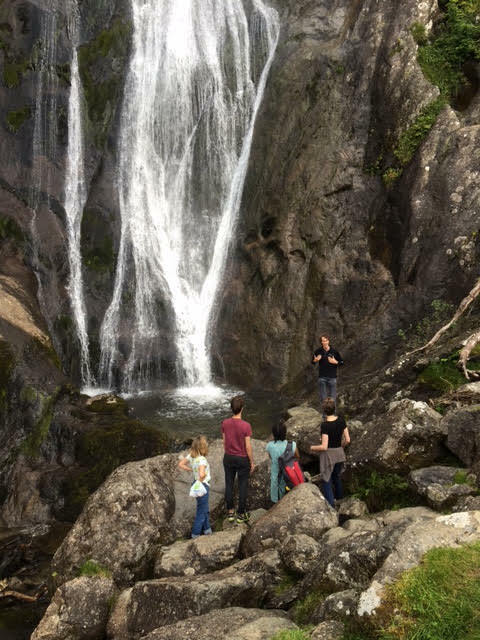 Making art and trekking on one of the most glorious walks in Snowdonia. Having grown up in this area, the experience was, at times, a little surreal. Whereas I normally had a family and hairy dog in tow, now I was on a familiar mountain but this time with a highly talented group of artists. The only similarity was neither brought a stick back when I threw it. Pilgrims opens at HighTide Festival 2016 for its world premiere 8 - 18 September, and will transfer to The Yard Theatre with Vicky Graham Productions 20 Sep - 15 Oct and Theatr Clwyd 18 - 29 October.